The Beach Cottage in Ramsgate is a 3 bedroom 6 sleeper, free standing home on the beach. 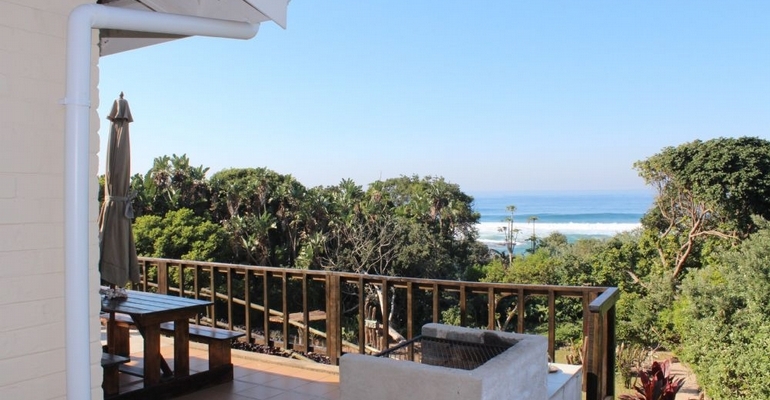 You have your own beach access, sea view and braai area. It is in a quiet cul-de-sac surrounded by nature with a variety of bird-life in a tranquil setting and private garden for the children. This holiday home is walking distance to the Ramsgate blue flag beach, Blue Lagoon Restaurant and Waffle House. It is in close proximity to Shops, restaurants, pubs and evening entertainment. An R800 refundable breakage deposit and R400 cleaning fee for after departure is required before arrival. Domestic service is optional @ R25 per hour or R150 per day. Clean linen, soap and toilet paper are included. Don't forget your own beach and bath towels.